With Therefore™ 2017, we started the transition to making the repository multi-lingual. Therefore™ 2018 completes the circle! Now you can translate folders, keywords, and even workflow processes to make your repository fully multi-lingual. Enjoy real global collaboration across language barriers! Platforms like Microsoft OneDrive, Google Drive, Dropbox, and Box make it easy to securely transfer and share information, even for very large file sizes. Since these platforms are so widely used and adoption is only increasing, we integrated these to features into Therefore™ to increase your ability to work with these cloud collaboration and storage tools! In Therefore™ 2018, users portal have become a two-way street. Third parties can now not only view their own documents stored in Therefore™, but also upload documents into Therefore™! And that’s not even the half of it! Check out the video below and join our launch webinar to learn more about these and other great new features coming in Therefore™ 2018. 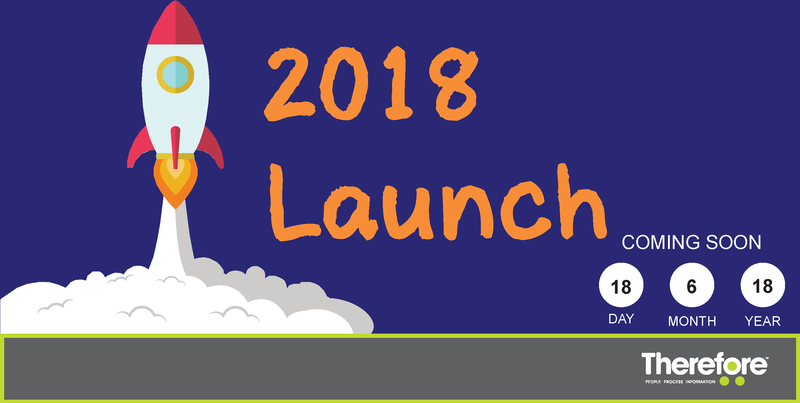 Click here to sign up for the Therefore™ 2018 Launch Webinar! Graphics credit: Elements from Freepik used in design.